“Glow Stick Capture the Flag” Glowing Capture the Flag” “Capture the Flag” “Glow Sports” “Glow Games” – ActiveDark.com – Glowing Ideas! 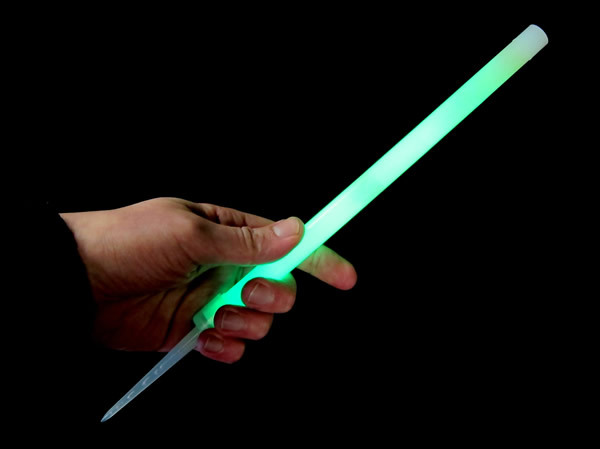 Glow Stick Capture the Flag! Here is an easy and fun outdoor game perfect for spring and summer. 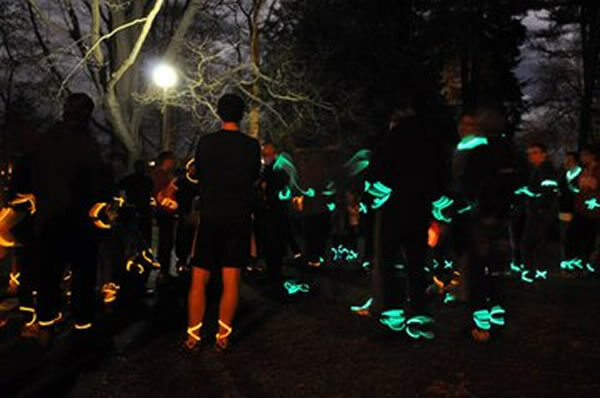 Glow in the Dark Capture the Flag! We all know capture the flag, with a few simple adjustments, you can now continue your game well into the night by adding glow sticks and glow necklaces into the mix! Setup: All you’ll need for glowing capture the flag are some glow sticks, glow necklaces and glow bracelets, preferably in two different colors. Lay out all the glow products and have everyone activate the glow sticks together so they all keep their brightness with the same consistency. 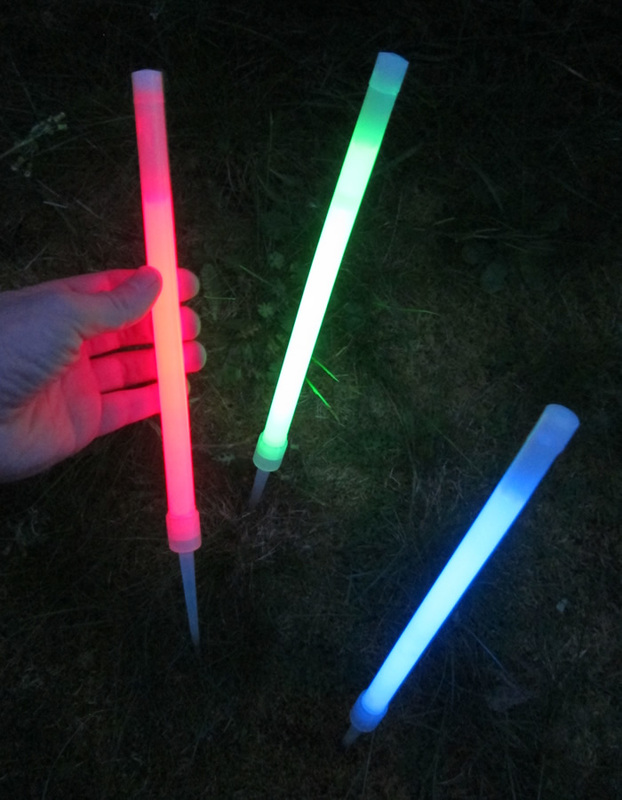 Flags: For the flags we recommend a larger style Glow Stick with an attached Stake for firmly placing into the ground. You can even attach a makeshift flag to the glow stick if you wish. Make sure to select two colors that match each teams glow colors. Players: The easiest way to glow up all the players is to simply use Glow Necklaces and Glow Bracelets that match the color of each teams glow stick flag. 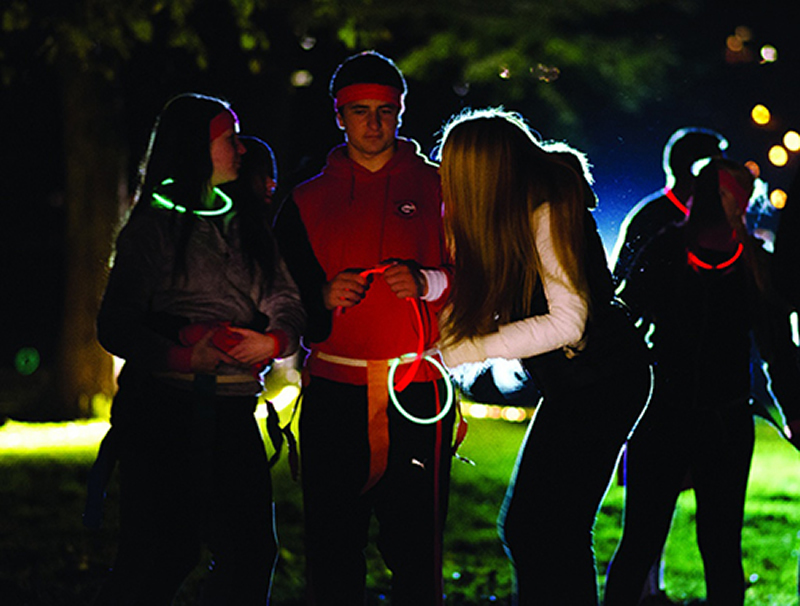 Use several Glow Necklaces and Bracelets to wrap up your wrists, ankles and anywhere else you can string the glow sticks around! Pretty easy setup! 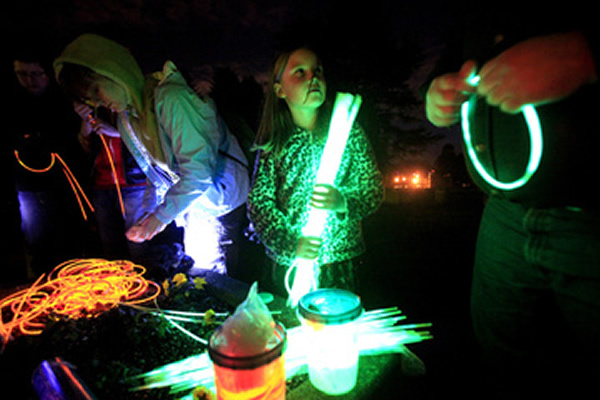 Now your ready to get out there and play glow in the dark capture the flag!